Now, before the estimable Simon Thurley gets on the phone to assure me that such a thing could never have happened, what with English Heritage’s superb staff training programmes for new staff, I must stress that it’s a joke about the uncertainty of prehistoric dating, not a critique of EH’s induction procedures. I am also, of course, not in any way disparaging American tourists. Perhaps I should have simply said ‘A tourist arrives etc’ with nationality unspecified. Hard to say, to be honest. Levity’s a tricky thing, as I discovered when The Daily Telegraph’s Mandrake column cast its rheumy eye over one of my earlier efforts. ‘Toy town with dinky electric vehicles’? Anyway, the good news about Stonehenge is that the Heritage Lottery Fund have agreed to put forward £10 million, and the prospects of getting to some kind of resolution for the issue of how to present the stones to the public becomes significantly brighter. For some, though, the glass remains very much half empty. Indeed for Marcus Binney (writing in The Times at the weekend), the glass should have been left in the kitchen cabinet and the liquid used for something else altogether. I’d pop a link in at this point but, as you probably know, that paper operates what’s called a ‘pay-wall’ so you’ll have to make your own arrangements if you want to call up the article. The point here surely is that, yes, there will always be a long line of hard cases, where buildings and monuments – each with their own wonderful story, and each with a really strong case for support – are overlooked; while other things – less deserving in the eyes of the chap making the case – get the nod. That’s the nature of democracy and professional judgement. For my part, I believe that our heritage buck must go on more than simply renovation, important though that is, because history is a narrative (to use, without apology, a word that has become almost meaningless through over-use in public life recently) as well as a selection of beautifully preserved artefacts and buildings. English Heritage understands this, and they put it into practice with enormous skill and imagination. Audio tours, computer visualisations, historic re-enactments and all the other things they do are, largely thanks to the calibre of the people they employ, so much more than ‘frills and embellishments’. Personally I’m absolutely delighted that the HLF have stepped in and I believe that grants like this are exactly what Lottery players would want the good cause money to go towards. And, if Marcus Binney slips a quid across the counter of his local news agent every Wednesday and Saturday for a crafty Lucky Dip, then I can only remind him that, as I said last week, rather more of his good cause contribution will very shortly be going towards heritage projects, and that can’t be bad, can it? 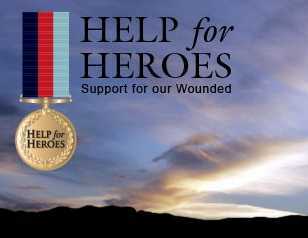 Do your bit and get involved! exploit the famous Neolithic site’s reputation to build an online following. Camelot Castle – the birthplace of the legendary King Arthur – in Tentagel has acquired the site as the basis for a new internet news network that is aimed at providing positive stories that help inspire “man’s spiritual rise and search for truth”. According to the Cornwall hotel, Stonehenge is the perfect vehicle for spreading this message and said it was “delighted” to have acquired what it feels to be one of the most important internet portals available. “It is a tremendous honour, duty and responsibility. 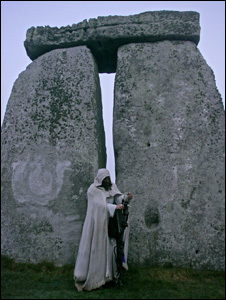 Stonehenge is an eternal testimony to man’s search for truth and his spiritual legacy,” said spokesman John Mappin. 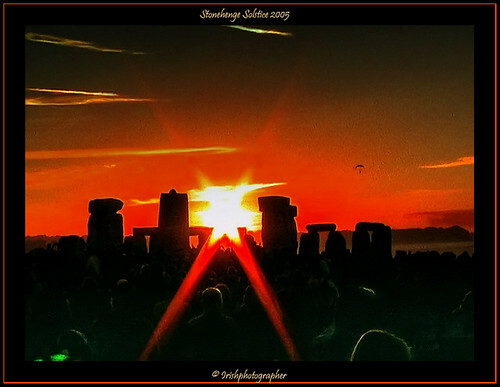 The actual site of Stonehenge is popular with luxury coach tours and is situated in Wiltshire. However, its online presence will allow it to play another role in advancing British culture, the hotel claimed. Can anyone explain the ‘Light Box’ that is promoted on this Stonehenge.cc website. I’m confused ? Is it worth the trek to Cornwall ? Stonehenge access – A303 roadworks ??? How frustrating ? The road has been closed for a week and the work has still not started? Coach tour operators are being inconvenienced, English Heritage say visitor numbers are down and cars are cutting onto the A303 via the byway – a serious accident waiting to happen! Details: A344 Wiltshire – A344 Stonehenge Bottom in Stonehenge closed in both directions between Stonehenge Fork and Airmans Cross, because of roadwork – What roadworks and wht is the road closed in both directions ?